Monday’s cancellation of The Nightly Show With Larry Wilmore comes as both a complete shock and a completely logical, and perhaps inevitable, development. The surprising aspect of today’s news is that Nightly will sign off in just four days, meaning there’ll be no long good-bye and no chance for Wilmore and his team to cover the conclusion of the epic 2016 election. 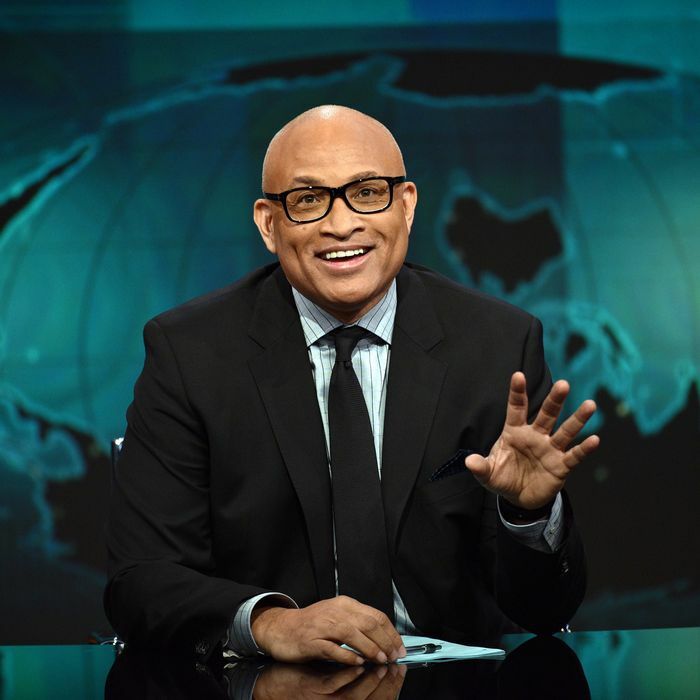 But as unfortunate as the timing is for political junkies, Comedy Central’s decision is grounded in a sad reality: Wilmore’s Nightly Show wasn’t winning over (enough) viewers to justify its continued existence. Add in the continuing growing pains over at Trevor Noah’s The Daily Show, and it’s hard to begrudge the network for making the tough call to move on. While networks, with some justification, like to talk a lot about how Nielsen numbers aren’t the only metric that matters these days, how a show performs on traditional platforms is still incredibly important. TNS simply wasn’t showing any signs of breaking out with audiences. During the most recent quarterly ratings period (April–June), Wilmore’s broadcast averaged just 153,000 viewers aged 18 to 34, a massive drop-off from the 278,000 millennials who regularly tuned in The Daily Show on TV during the same period. More distressingly, TNS, despite its earlier time slot and stronger lead-in, attracted slightly fewer viewers than Comedy Central’s @midnight, the comedy game show hosted by the ubiquitous Chris Hardwick. The gap was ever more pronounced among men 18–34, one of the network’s main late-night targets. TNS has also been doing a fraction of the viewership of the show it replaced, The Colbert Report, but given similar declines for the Noah-hosted Daily Show post–Jon Stewart, that fact is far less important. What ended up mattering most, per Comedy Central execs, is that TNS was bleeding so many viewers relative to Daily Show — and that even after 18 months on the air, the trend wasn’t reversing itself. From the outside, Comedy Central’s decision to part ways with Wilmore and focus on building Noah seems a necessary form of triage. It needs to throw everything it has at shoring up the late-night show most likely to evolve into something better (and bigger) than it is now. The next three months leading up to the election will offer plenty of opportunity for Noah to solidify his base and attract new viewers, and while it might have been nice to have kept Wilmore on the air, too, doing so would’ve meant wasting money and resources better used on Noah. Plus, as Alterman notes, Comedy Central’s political “focus” between now and November 8 with be filtered through a single show. It’ll be a lot easier for Daily Show to go live or expand to 45 minutes or even an hour for special events (like debates) now that there’s no worrying about preempting or delaying TNS. Still, as confident as Alterman is in the 2016 version of The Daily Show, the cancellation of The Nightly Show will once again bring into question whether Noah’s takeover of Stewart’s franchise has been a success. There may be signs of growth, and reason for hope, but with just three months left in the 2016 election cycle, Noah’s voice seems weak compared to rivals such as Samantha Bee, John Oliver, and Seth Meyers, and nowhere in the same league, influence-wise, as Stewart. Two years ago, the Stewart and Stephen Colbert lineup was sort of the late-night equivalent of NBC’s Must-See TV lineup, particularly among cultural and political elites. Now? The network’s shows often seem an afterthought compared to the aforementioned hosts. This doesn’t mean Comedy Central is wrong to stick with Noah. He may not be winning all that many raves among longtime fans of the network’s late-night lineup, and he certainly hasn’t captured the media’s imagination the way James Corden has done with his mostly apolitical Late Late Show. But then again, Comedy Central didn’t pick Noah to simply try to hold on to its existing base. Just the opposite: It’s always said the goal was to find someone who could build a new kind of show that would appeal to viewers who hadn’t previously been watching The Daily Show. It’s a risky play, given how hard it is to build audiences in the age of Too Much TV (something Wilmore’s failure proves all too well). But there is precedent for this sort of thing working. I remember covering Conan O’Brien’s earliest days as a late-night host in the mid-1990s. Like Noah, O’Brien was taking over from a legend (in that case, David Letterman) who’d become synonymous with a show (Late Night). At the time, baby-boomer TV critics and reporters pummeled O’Brien as a lightweight out of his depth, a kid clearly not worthy of the Letterman mantle. I was a cub reporter for New York Post at the time, barely of drinking age, and during the 1994 and 1995 TV Critics Association summer press tours, I got into numerous arguments with my older colleagues about O’Brien. Where I (and a couple of fellow Gen X critics) saw a brilliant comic mind reinventing Late Night, they saw … Not Dave. Slowly, memories of the Letterman era of Late Night faded away. (It helped that Dave was undergoing a transformation of his own over at CBS.) O’Brien definitely got better as a host, but more importantly, critics (and viewers) started to judge him on his own merits rather than comparing him to the guy who’d occupied the chair before him. With Wilmore now out of the picture, Comedy Central has to be hoping history repeats itself.